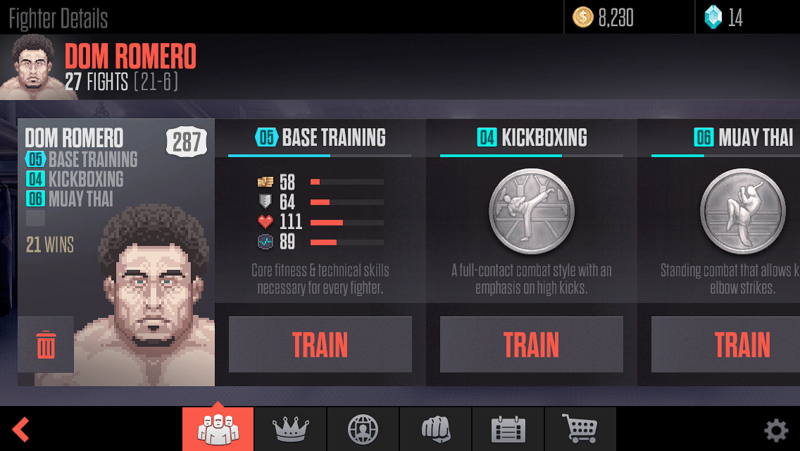 Fight Team Rivals is a pick-up-and-play MMA management game where you create your own Fight Team, train them to fight hard and then watch them go for glory in the ring. As the team manager, your responsibility is to build a balanced team of elite martial artists, teach them authentic moves from multiple disciplines and keep them in the best shape to compete. Experiment with different fight plans to discover the perfect tactics for your team. 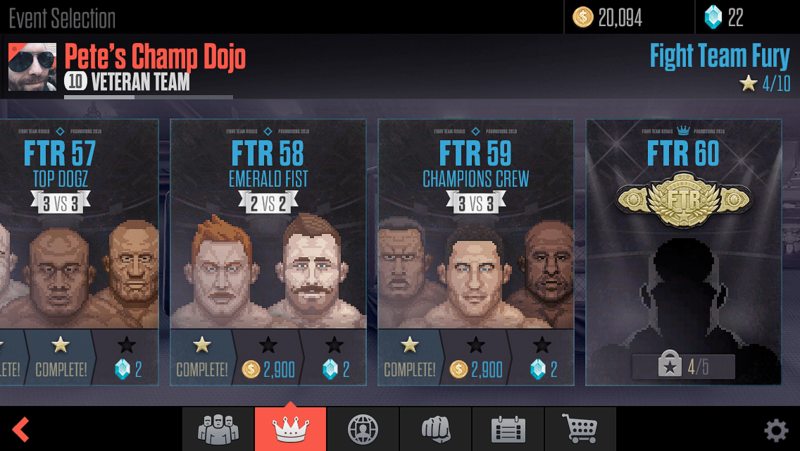 Take part in official FTR Championship events, covering all kinds of fighting styles and a huge variety of event types, including single discipline tournaments, style-vs-style showcases and asymmetric tag-team showdowns. 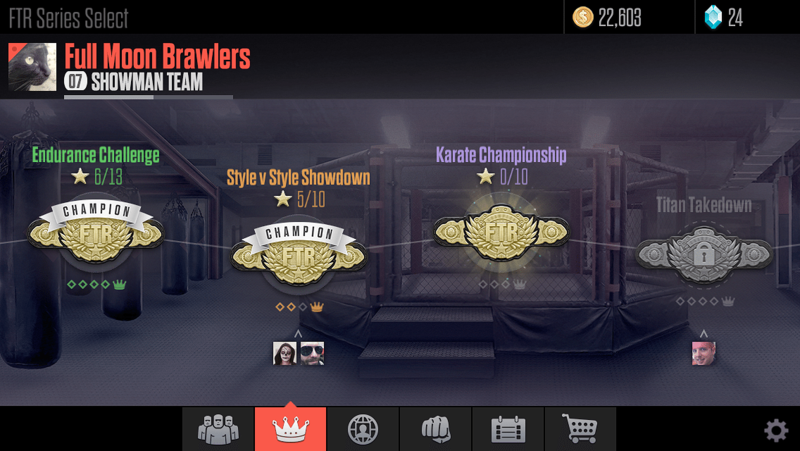 Each series culminates in a special 1v1 Championship Belt fight for the ultimate team glory. 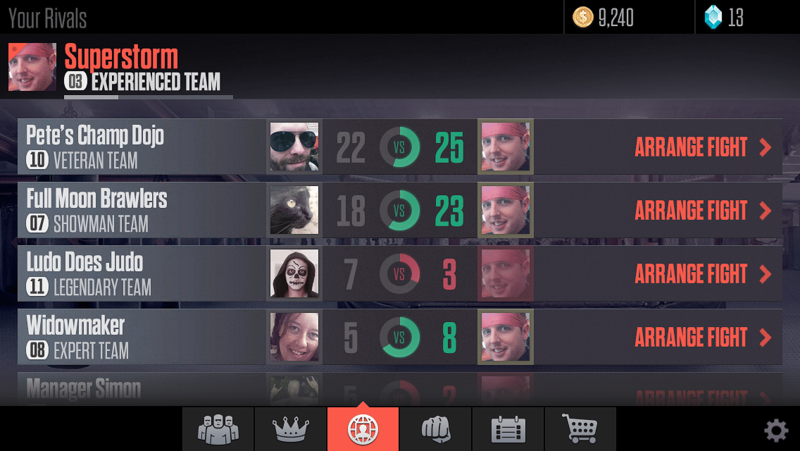 Take on your friends in Rivals mode. Here the goal is to dominate the opposing Fight Team in an ongoing contest for bragging rights. 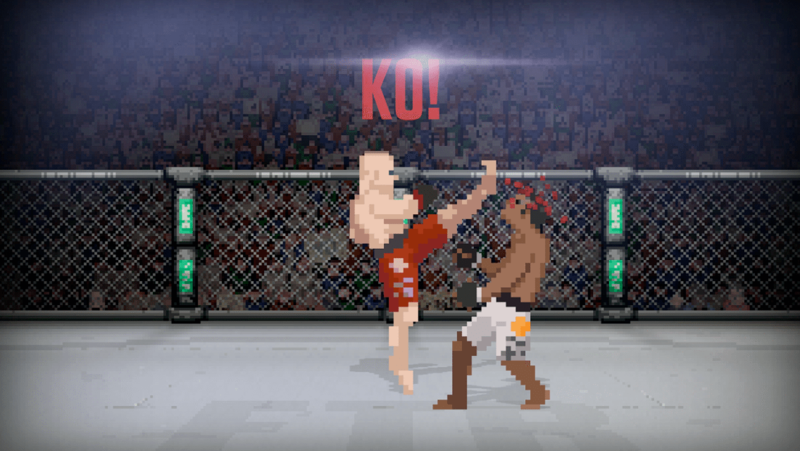 In addition, Quick Fight lets players test their fighters against other players from all over the world. 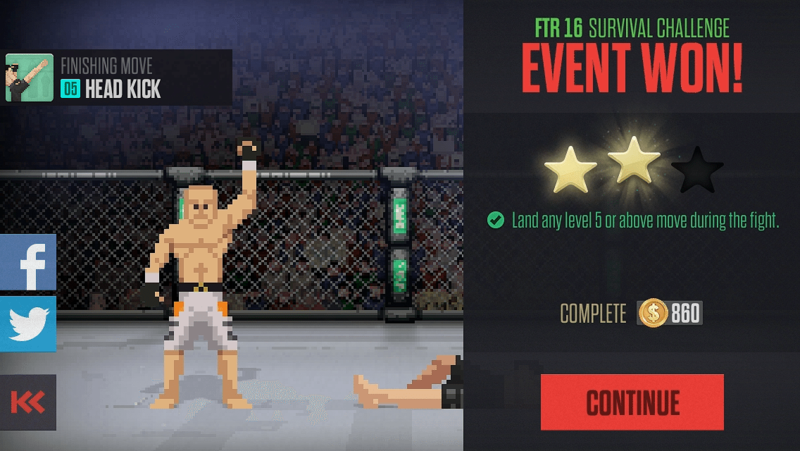 Fight Team Rivals combines simple but deep management gameplay with fast and furious fights. Train your team, challenge the world, be the best!